I did a little bit of reading last week. 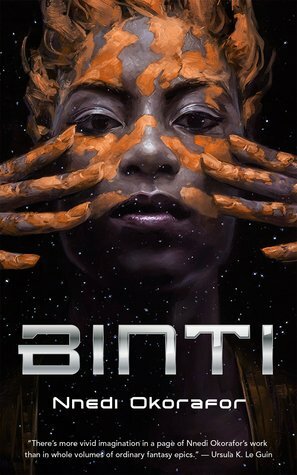 First up I read Binti. I actually received this book from a friend last week and read it that same day. I really enjoyed this book and will definitely be continuing on with the series. I will also be doing a full review of this book next month. Then I read Orange The Complete Collection Volume 1 & 2. This series was so darn good! I don’t know if I can even properly review this one because it was just…I don’t know, it was amazing but even that word feels flat. I’ll eventually be posting a review for this one once I can better explain why I loved it. I finally watched Alien. This is a movie I have been saying I would watch for YEARS and I finally did it. I didn’t love it, I didn’t hate it, it was alright. I will be doing a full review of this movie next month for SciFi Month. I then watched all of Planet Earth II on Netflix and really enjoyed it. I just wish there were more episodes, but who knows, maybe there will be a third series in the future. Then I watched more of The Incredible Dr. Pol, which has been filling up my PVR a bit. I really enjoy this show and so glad that it’s finally available to me, because for the longest time it wasn’t. For Family Movie Night the boy picked the second Pink Panther movie, A Shot In The Dark. We enjoyed the movie overall, but didn’t find it to be great. To finish the week off, we watched The Lego Ninjago movie, which the boy really enjoyed and hubby and I thought was pretty good. It was kind of a slow week. I prepped more of the garden for winter. There’s still carrots, horseradish and a few pea plants left, but the rest is gone. It makes me sad to see it empty but I know I will fill it with plants once again next year. I also took more stuff to donation, and sold our second fridge, which we no longer needed, so that cleared up more space in the laundry room. I did some baking on the weekend, making homemade granola cereal, scones and rolls. Other that I enjoyed the decent weather, giving the dog plenty of walks and spending as much time outside as I could. No real plans for this. I’m in a bit of a mood reading phase, so I will see what strikes my fancy for the week and read that. I will probably end up watching a few SciFi movies that I have on my list to watch and review for SciFi Month, though at this very moment I can’t think of what any of those movies are. I will also be watching more of The Incredible Dr. Pol. Monday (today) is Thanksgiving so we will be cooking a turkey and later stuffing our faces with all kinds of delicious things. Depending on the weather I might harvest the carrots or I’ll leave them to grow for another week. I may also try to paint our entryway walls this week as long as the house is still warm enough to allow the paint to dry, which is another thing that will depend on the weather. Sounds like you’ve been busy. I envy people with gardens for all the lovely fresh vegetables. Come see my week here. Happy reading! It’s definitely been busy. It’s always crazy this time of year trying to get everything done before winter sets in. Thanks. Oh yeah, when the weather is that nice it’s hard to want to prep things for winter. I’m almost done with the outside stuff, which is good because normally we start getting snow mid to late October, though it might be later this year because it’s been so nice out lately. Thanks. 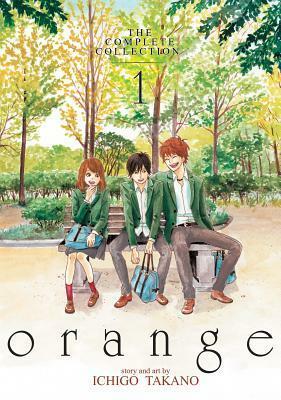 They were both great books, but I have to saw Orange was an especially beautiful series. Going to have to watch the anime series at some point. Happy Thanksgiving! Seems weird for it to be on a Monday! 😉 I need to read the sequel to Binti, too. I keep forgetting about it! Thanks. I definitely want to read the sequel and most likely the third book once it’s out.